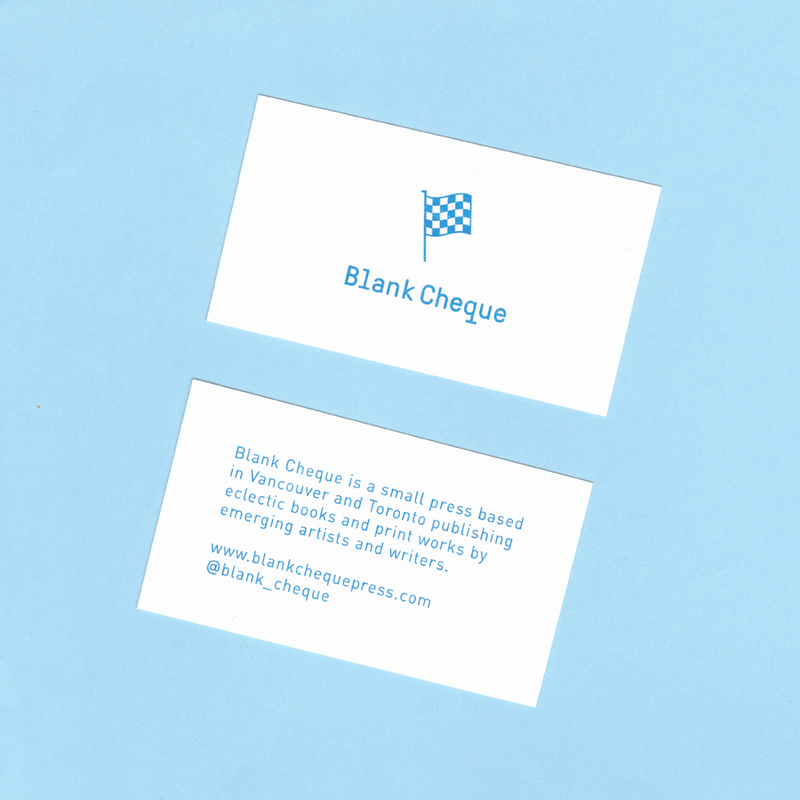 Blank Cheque is a small press based in Vancouver that is dedicated to the publication of art writing in its many forms. This includes but is not limited to plotless fiction, eccentric art criticism, messy philosophical treatises, urgent poetics, esoteric writing by artists, and book projects that otherwise run parallel to artists' practices. Conceived while daydreaming in an overpriced shoe store, the series is edited by Jacquelyn Ross and produced in living rooms, studios and print shops, with the help of friends.